We completed a Freedom of Information request to Birmingham City Council asking for the total revenue received from the car park charges introduced in October 2017, the amount spent on infrastructure at the park & number of fixed penalty fines issued for illegal parking. West Midlands Police are asking for your views on their use and increase of ANPR technology (Automatic Number Plate Recognition). There is not an option to add a comment to the survey so I suggest if you do have individual comments you email g.chana_57666@west-midlands.pnn.police.uk. We welcome this survey as we think public consultation over use of surveillance is incredibly important. In 2010 the police and council got it terribly wrong when trying to implement ‘ Project Champion’ in Sparkbrook and Moseley. We last posted about the traffic management of School Road, Moseley on January 29th. Scroll down through the posts to read it. We have now received a letter, copied below, from Gill Brook – Senior Transportation Officer – Birmingham City Council. The council are proposing a trial scheme in which they will close School Road to traffic at a point between Greenend Road and Birches Close. This is slightly different to options 5a and 5b presented at the meeting on 24th January in that the proposed closure is further along School Road. Closing the road at this point will have an impact on nearby roads with a potential for displaced traffic to find another way around. We are supportive of a trial but the exact point of closure is important to get right. The council have been advised that before a full consultation takes place they should carry out a wider engagement of residents to ensure people have the opportunity to comment. It isn’t clear how that engagement will be conducted but we will make sure that residents in the surrounding area are kept informed. I am feeding back as a result of the two resident-led meetings that Birmingham City Council Transportation officers were invited to attend to look at and discuss potential options for a scheme to address the issues of safety on School Road in Moseley and Kings Heath & Brandwood wards. Following responses collected from the meeting on 24th January 2018 where a number of different scheme options were put forward to residents, and further responses from local residents by email, 64% of those received were in favour of the option that would involve an experimental closure of School Road for motor vehicles at a point between Greenend Road and Birches Close. From comments taken at the meeting on 24th January, and further comments from emails received, issues relating to parking on a number of roads in the area were highlighted – including parking at junctions reducing visibility, and vehicles parking on pavements. Part of all of the 6 options put forward included a short length of one-way on Valentine Road from the High Street. This proved unpopular in the feedback we received, and will therefore not be taken forward. I have been advised that before formal consultation on a proposed scheme happens, we should undertake some further area-wide engagement to ensure all properties in the local area likely to be affected by the closure of School Road as a through route have the opportunity to give their opinion. The potential costs and logistics of an experimental road closure and any parking restrictions will need to be submitted through the usual city council channels in order to get funding agreed and allocated. It is anticipated that this proposal can be submitted within the next month, and if successful, the consultation would take place after this. As we would like to consult as widely as possible with all local residents and businesses affected by the proposed scheme, we would anticipate this consultation taking place after the main summer holiday period. We will try and arrange this as soon as possible after the beginning of September. In the meantime, can I encourage you to have a look at our 20mph toolkits which can be downloaded at www.birmingham.gov.uk/20mph. These toolkits contain activity ideas and we also have a range of resources such as additional temporary signage, wheelie bin and car bumper stickers to help to bring great visibility to the reduced speed limits in the area. We would be happy to support any activities”. 112 crimes have been recorded in Moseley & Kings Heath since the beginning of July. This is an increase of 3.7% compared with July 2017. Of these – 8 were burglaries (an increase of 3 from last year) & 8 were robberies (an increase of 4). Vehicle crime is the most prolific offence and some of the robberies and burglaries resulted in cars being stolen. Three people have recently been charged with a series of burglaries across Moseley. CCTV was an important part of the evidence assisting in identifying the offenders. Police advice is to keep keyless fobs in a metal box or specially designed signal blocker pouch which are inexpensive to buy. The article above also suggests a microwave oven could be used (but please remember you did that!). Using a traditional disc lock or steering wheel lock is also a good deterrent to thieves. Today the police have issued a ‘Community protection warning’ to an individual who has continually breached the PSPO in Moseley village. This can be followed up with the issuing of a ‘Community protection notice’ if the behaviour continues. The notice will require the behaviour to stop and if necessary reasonable steps to be taken to ensure it is not repeated in the future. More info on Community Protection Notices. The neighbourhood team have welcomed the recent appointment of an outreach worker by Moseley Community Development Trust and will be signposting more vulnerable individuals to her for support. The police team have continued to issue fixed penalty tickets where they see obstructive parking. Today they carried out an operation on Moor Green Lane outside the primary school and reported 16 drivers for offences of speeding and obstructive parking, including to one driver who had parked on a resident’s drive. A resident asked how the community could assist the police in tackling speeding. The officers explained that the police are currently trying to put together a community speed watch programme which will run on similar lines to community street watch. There are two Community Street Watch schemes in Moseley. Officers regularly complete speed operations in various parts of the ward, including Billesley Lane and Russell Road. A resident requested they also target Yardley Wood Road. Members of the public can now self report motoring offences and submit evidence for consideration of prosecution. They need to report to 101 and will be issued an evidential pack to complete. Since the tragic death of a toddler last week at the recreation ground, the travellers are expected to leave Birmingham by Saturday. Should there be any requirement for the immediate family to remain the council will find suitable accommodation for them. Izzy raised the issue of repeat thefts at the three supermarkets and Boots the chemist in Moseley village. These shops are all being targeted, often by the same offenders. Security Officers have expressed frustration that police are not keeping them updated or matching repeat crimes to offenders. A meeting will be arranged for representatives of all the shops involved to meet with each other and the police to discuss how they can work better together. Due to operational demand these will now be held bi monthly and will be hosted by the PCSO’s. The next meetings are scheduled for 10th September, 19th November & 14th January 2019. All to be held at Whitesmiths Croft, Silver Street, Kings Heath. Air pollution increases the risk of heart disease, cancer and asthma attacks and is linked to coughs and bronchitis. Birmingham City Council has launched its consultation on its proposals for Clean Air Zones in the city. They are proposing a Clean Air Zone (CAZ), where the most polluting vehicles will have to pay to enter the city centre: all the roads within the A4540 Middleway ring road (but not the Middleway itself). New No 1A bus route to the QE Hospital. Major Changes are to take place to Bus Routes in South Birmingham including an additional no 1A through Moseley to the QE hospital. Following last year’s consultation, National Express West Midlands have finalised the changes they will be making to their bus services in South Birmingham. The new routes will come into force on Sunday 22nd July. • A new no 1 which will run from a loop round Shirley Road, Dolphin Lane and Olton Boulevard East to Acocks Green, then Springfield, Moseley, Cannon Hill Park and finally Five Ways. • A new no 1A which will take the same route as the no 1 to Cannon Hill Park but then goes to the QE Hospital / University. The 1/1A will run every 10 minutes to Cannon Hill Park and then every 20 mins to the QE and every 20 minutes to Five Ways. New development near to Edgbaston Cricket Ground. We’d like to hear your views. Patrizia, a leading property investor, and Warwickshire County Cricket Club are currently preparing plans for The Residences at Edgbaston. The site is located on the corner of Pershore Road and Edgbaston Road on what is currently the main car parking area for the Cricket Ground. Comments to the developers must be made by 1st June 2018. The proposed development will include 375 apartments in a complex which includes a 15 story building, as well as shops, cafe’s restaurant and a gym. There will be 331 resident car parking spaces and 22 commercial car parking spaces. The developers say they have provided more car parking spaces than advised to by the city council. They do seem keen on promoting public transport and this is an opportunity to engage in a debate about the public transport options and cycling provision at that location . On Thursday 3rd May we will be voting for TWO new Councillors to represent the new Moseley ward. To keep you informed. We will stay in touch and keep you updated. We will be honest with you. To empower the community. Moseley has a vibrant, involved, passionate community. We will work with you to achieve the very best for Moseley. We believe local people make the best local decisions. In February that big red bus came to Northfield to spell out the real cost of Brexit. £2000 million a week according to the government’s own figures. Check the facts out for yourself at : Is it worth it? The arrival of HS2 at Curzon Street station in 2026 will herald a wider connectivity package aimed at boosting transport into the city centre and across the West Midlands Combined Authority area. For any doubters, the fences are already up north of the Curzon Street site, and designers and architects have been appointed for the new station – WSP and Grimshaw, who worked on the Eden Project. Remediation work and street closures are beginning shortly. But how will this play out for Moseley? Firstly there is a plan, which is Movement for Growth transport strategy for the region. Secondly, the powers devolved to the new Transport for West Midlands are considerable. Finally, the lobbying is intense – over 100 senior civil servants led by the Department for Transport Permanent Secretary visited Birmingham on January 18th to review plans and look at projects. The first projects are the roll out of Midlands Metro to Edgbaston (being built right now), and the extension through Digbeth and ultimately to the Airport along the Coventry Road, as well as plans to integrate a comprehensive cycle network as part of a ‘model shift’ away from cars. The second phase is going through the Network Rail GRIP 4 stage – basically single option analysis rather than scoping alternatives. This includes the re-opening of Platform 4 at Moor Street station, construction of the Bordesley chords to connect the Camp Hill (Moseley) line into Moor Street. Transport for the West Midlands have publicly stated they need £3 billion in total to meet their strategy including programmes in Wolverhampton and Walsall ,but most programmes are ‘wholly or substantially funded’ already. The ask to Government around HS2 Connectivity was £1.3 billion in the period up to the arrival of HS2, and £270 million once services begin. From an engineering perspective the Bordesley chords need to be seen as part of the wider HS2 works, and it is felt that the onset of the Commonwealth Games in 2022 will give further impetus to this happening on time. The political imperative is the next Mayoral election – Mayor Andy Street has made reducing congestion, and indeed beginning work on connecting the Camp Hill line back to the passenger network – as a key commitment. So with a coming together of financial, engineering, political and reputational factors, it looks as if at long last Moseley residents may be once again be able to use the train in the not too distant future. Moseley Lib Dems have long been lobbying for our station to re-open to passenger services. We will continue to do so as loud as we can to make sure this opportunity is not lost. Update 4/2/18: The letter we recently sent to residents included ‘inconsiderate parking’ as one of the factors causing traffic issues on School Road. The impact survey reports an increased level of parking on that stretch of School Road at school pick up/drop off times. However the parking noted was not illegal and the narrowness of the road and lack of view from either end are also contributing factors. It is also important to note issues occur at all times of the day and not just during school times. Residents are calling for action to deal with the poor driving they are experiencing daily on the section of School Road from the roundabout outside Kings Heath Primary School to the junction with Prospect and Ashfield Roads. We are concerned that not enough consultation has been done with people who do not use Facebook and who were not aware of or did not attend, the public meetings. *Drivers regularly mounting and driving along the the pavement to pass oncoming traffic. *Aggressive behaviour from vehicle drivers including driving aggressively, verbal aggression, and physically intimidating behaviour. *Vehicles being driven at speed. The current situation is dangerous for pedestrians and cyclists. It is affecting the quality of life for residents and users of this road . School Road is an important access route to two local schools and is heavily used by children and families on foot at all times. Their safety, and that of other road users, is a risk. At a public meeting on 24th January 2018 six possible solutions were proposed by Councillor Trickett. They are listed below. If you are unable to view the jpeg images we have included the six options as pdf files below . We have also included notes relating to the options produced by the council. *One way systems may need traffic calming to prevent increased speeding. Traffic calming humps are not good for motor cycles or cyclists and can increase pollution. *It could be dangerous for cyclists to travel two ways in a one way system, but preventing them from doing that would inconvenience cyclists when we are trying to encourage more cycling and could cause cyclists to ride on pavements . *A short two way system between two one way systems at the junction of Greenhill Road could be hazardous. This is already a difficult junction to manoeuvre out of. *Parking restrictions (option 4)with passing bays could be easily trialled but may not be enforced. There would be a displacement of parking to near by roads. *The Moseley triangle, Billesley Lane & Oxford Road could all be negatively impacted by larger volumes of traffic. (Before traffic calming was put into Billesley Lane in the late 90’s there was a fatal and several very serious accidents at the junction of Dyott Road). *Options 5a & 5b are different to the first 4 as they discourage vehicles from the whole region as opposed to one or two roads. *Options 5a & 5B could lead to the blocked off roads being used for car parking especially during school drop off and pick up times. We have now obtained a copy of the Traffic Impact Study which you can see below together with all the appendices. NB: This study was undertaken in July & August 2017 to look into the impact on surrounding roads of the original proposed one way system (School Road between Blenheim Road & Valentine Rd/Springfield Rd/Poplar Road roundabout) which went out for consultation in June/July 2017 but was not progressed. As the recent revised options also include one way systems along the same stretch we believe the report is still relevant although we would recommend it be updated if any of these schemes are taken further and made available as part of that consultation. Councillor Trickett is seeking feedback on all the 6 options with the aim of one or two being put forward to a wider reaching public consultation and possibly trialled. We will be talking to residents over the coming weeks to gauge public opinion and would like to hear your thoughts on all of the options. We are looking for the best solution to address the issues with the least impact on surrounding roads. We do not want a situation that causes further issues elsewhere. However we also believe the status quo is not an option. Birmingham Liberal Democrats have tabled a motion ahead of today’s city council meeting calling for the Government to increase funding. We will also call on the Police and Crime Commissioner to look at the state of community policing. The move comes after a survey we carried out across the city revealed growing levels of dissatisfaction with the service. 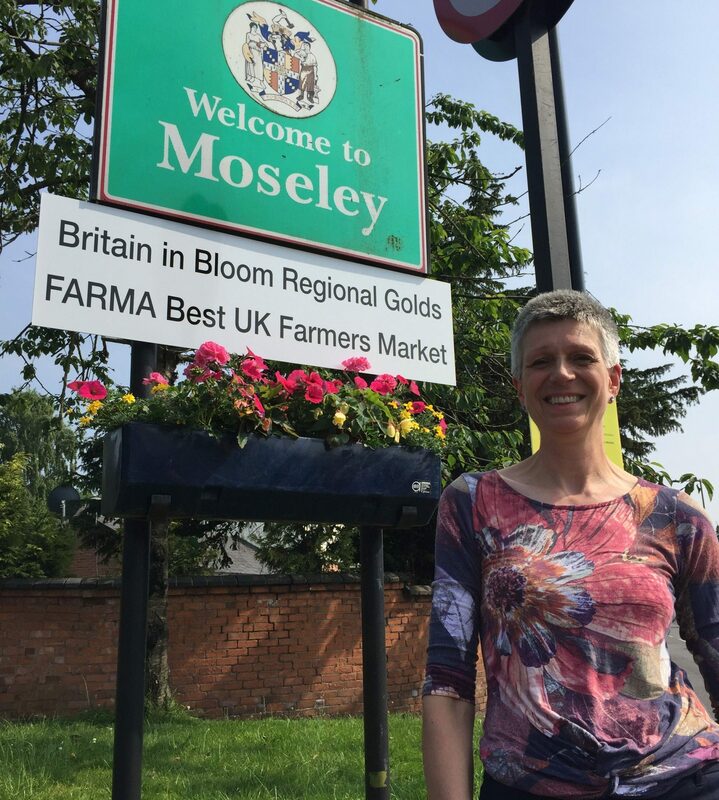 Izzy has spoken to a number of Moseley residents who have been victims of crime and what we hear about the lack of contact from police is disturbing. We have fantastic neighbourhood teams both in Moseley & Kings Heath and in Springfield but the good work built up over many years by dedicated Sergeants and their teams is being eroded and community policing skills are being lost. Two officers from our neighbourhood team are moving on, one about now and one in the new year. I am seeking assurances they will be replaced. They are already stretched so much they are struggling to deal with what is seen as low risk crime and anti social behaviour- but if not tackled leads to more harm in the community. The monthly police neighbourhood tasking meeting has ceased to be a two way community/police partnership process and has become a an ‘update and contact’ meeting leaving many residents frustrated at the lack of progress on community concerns.  Birmingham’s Liberal Democrat council group will be pressing for action to stop the collapse of community policing, warning that effective local policing is vital for effective crime prevention.